This remarkable account of James Cameron’s expeditions to the sunken Titanic includes his dive journal, personal photographs, and maps from his many explorations of the wreck. Having undertaken more than thirty dives to the wreck of Titanic, acclaimed director James Cameron has probably gained more firsthand insight into the sinking of the ship than any person alive today. Now, more than one hundred years after the tragedy, Exploring the Deep provides a thrilling account of Cameron’s remarkable expeditions and the incredible technological innovations that made them possible. Capturing all the excitement, danger, and wonder of these pioneering expeditions, Exploring the Deep also examines the legacy of Cameron's explorations and the considerable impact they have made on our understanding of the disaster. 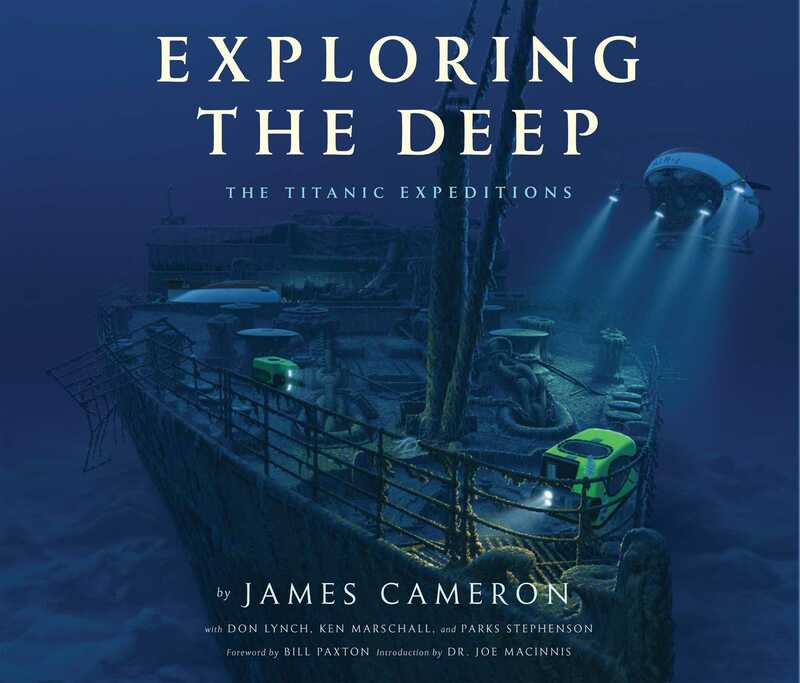 Showcasing a treasure trove of images captured inside previously unreachable areas of the wreck, Exploring the Deep is a dazzling visual chronicle of Cameron’s expeditions that will enthrall experts and casual readers alike. Also featuring Cameron’s exclusive dive journal and visual elements, including maps and personal photographs, this book is an emotional and evocative examination of the wreck from one of the most exciting figures in both filmmaking and exploration. Bolstered by contributions from three of the world’s foremost Titanic experts, Don Lynch, Ken Marschall, and Parks Stephenson, Exploring the Deep is the definitive book on Cameron’s expeditions and the last word on a historical event that continues to shock and beguile.